It is very common for anyone working in the helping profession to encounter ethical dilemmas. 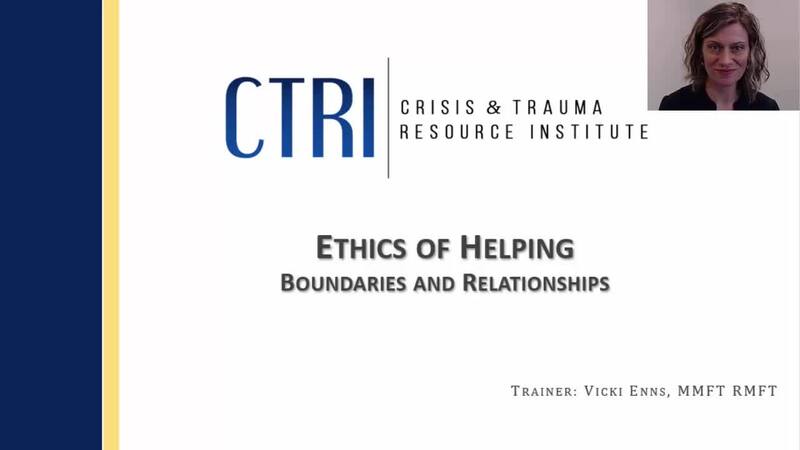 Ethics are at the heart of competent and effective practice for anyone in the helping field. This webinar is designed to give individuals and organizations an opportunity to review common principles and standards for ethical practice that are relevant for their settings. Viewers will practice using an ethical decision-making process to work through common areas of ethical concerns and leave with a stronger awareness of their own ethical base.